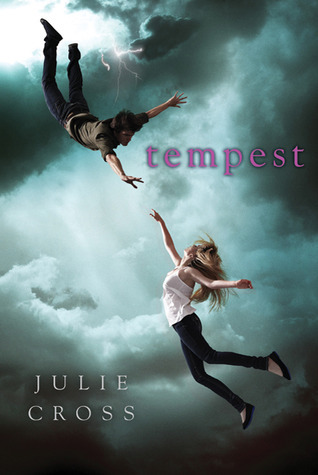 The book this week that I can't wait to read is Tempest by Julie Cross. Goodreads Summary: The year is 2009. Nineteen-year-old Jackson Meyer is a normal guy… he’s in college, has a girlfriend… and he can travel back through time. But it’s not like the movies – nothing changes in the present after his jumps, there’s no space-time continuum issues or broken flux capacitors – it’s just harmless fun. Oh yeah, and the cover is beautiful! Gorgeous cover and intriguing story - what's not to love? Great pick! Old follower, check out my WoW here! I've been seeing pretty good reviews on this one so far. I love the cover!! Sounds like a captivating read, enjoy! The Back to the Future reference is what got me too, that and the cover I can't wait to read it. This is also on my want list... the blurb sounds awesome and o.m. goodness the cover is so cool! Great pick!! This is going to be a future wow for me can't wait to read it. I love time travel stories. Plus it has a male protagonist...my favorite! I think everyone is waiting for this one! :) Yay! I first heard about this one in the Wall Street Journal article. I had no idea the narrator was male. This is different. I've seen this book quite a few times. The book sounds great. Great pick! Thank you for sharing!